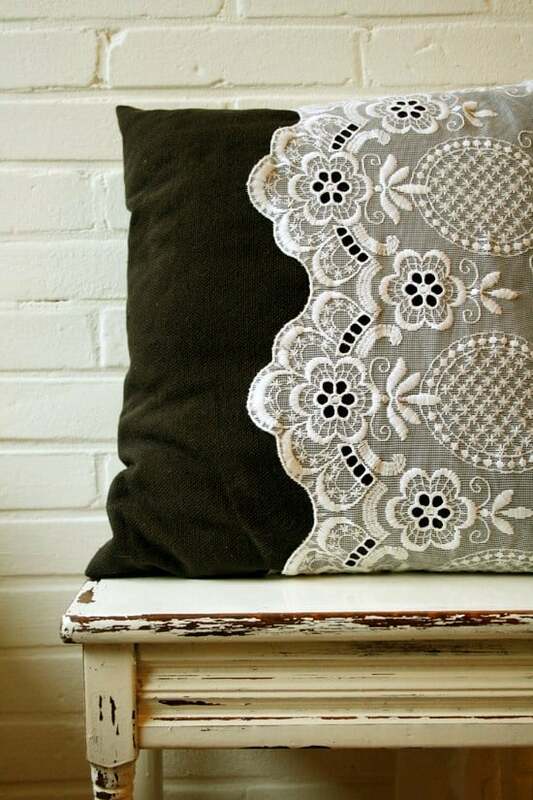 Don’t bin that old lace, use it to make one of these 10 stunning crafts using lace! You will be amazed at how a little bit of lace can transform the most basic of items and what can be created using lace. The spraypainted lace technique is super cool and we love how creatively free one can be with lace mason jars. 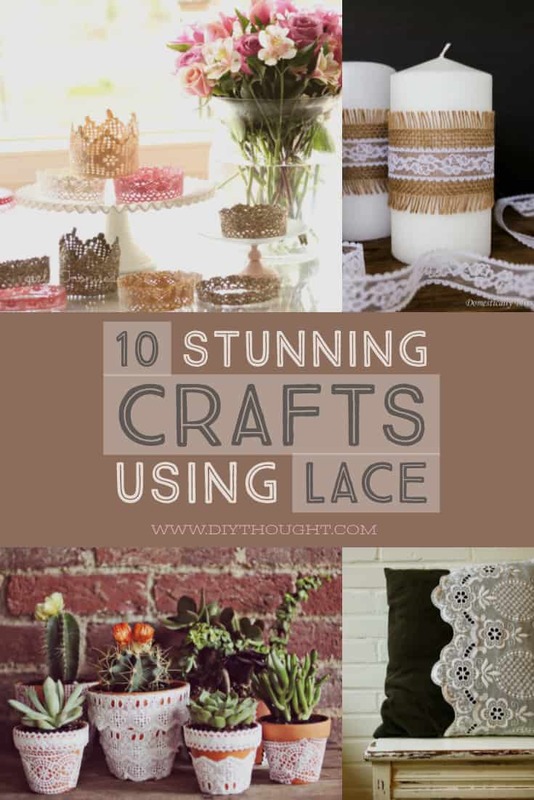 Read on to find your favorite lace craft! 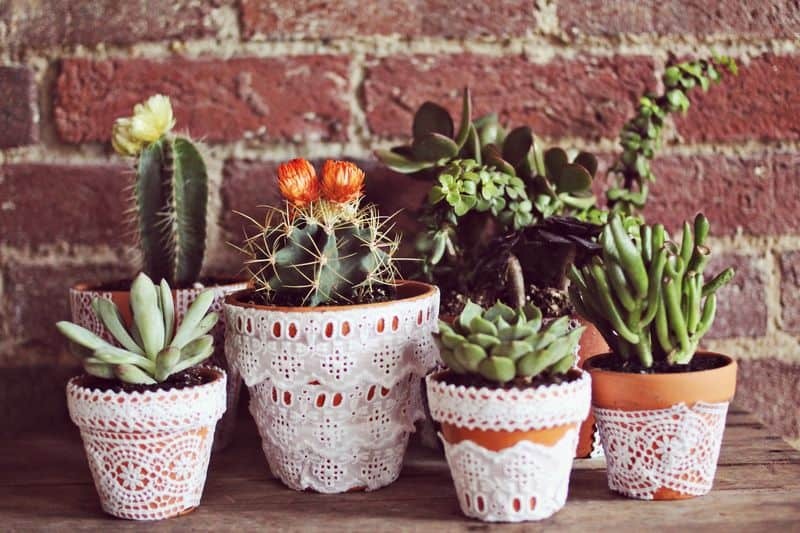 Transform old or new flowerpots by using lace for a super trendy feminine look. Find out more over at A Beautiful Mess. Lace, feathers, beads, this dreamcatcher is a crafting dream. Follow this link to find the tutorial. This is such a lovely pillow which would finish off a bed or sofa perfectly. Pillows make excellent started sewer projects so you know you will have this made in next to no time! Click here to read the full tutorial. 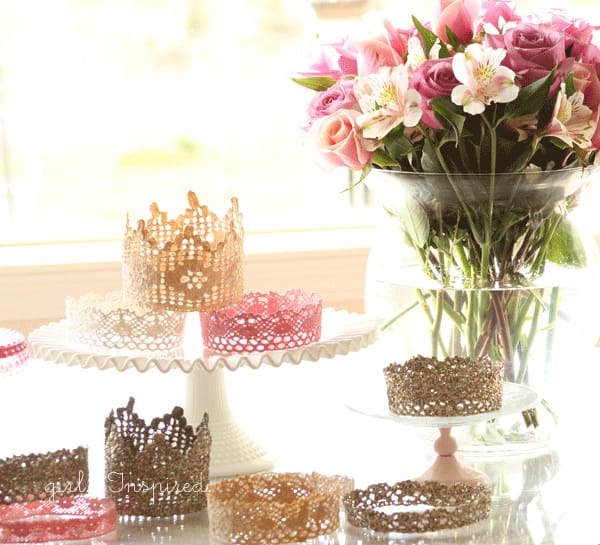 These lace crowns are perfect for a princess party or make a fun weekend craft activity to do with kids. The painting and glittering looks like so much fun! Follow this link to read the full tutorial. Spraypaint over lace to achieve this amazing lace look. 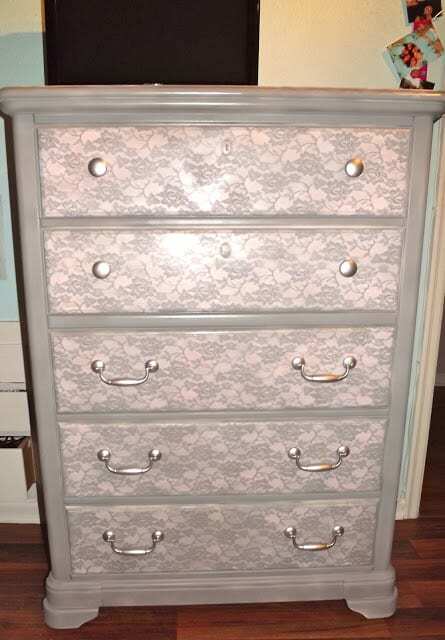 This technique can be applied to anything that can be painted! Click here to find out more. 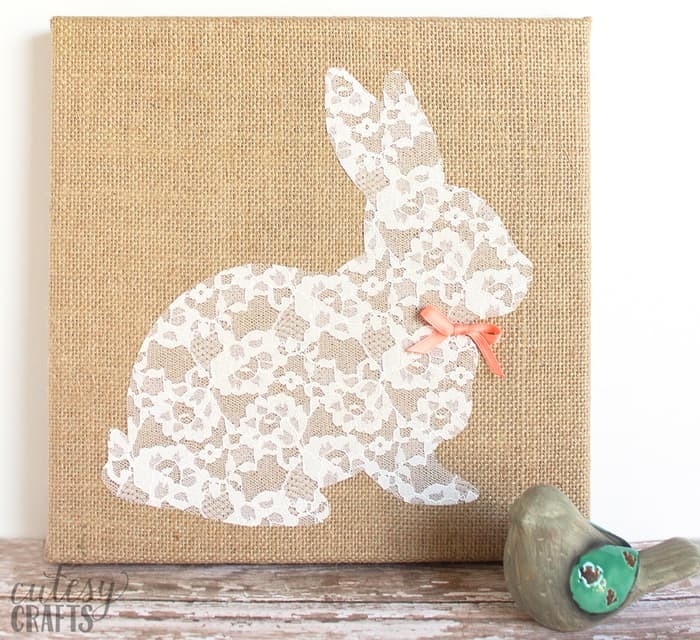 Use the techniques described over at Cutesy Crafts to create your own lace art. It doesn’t have to be bunnies, any favorite animal or object will work and would add a beautiful personal touch to a child’s bedroom. 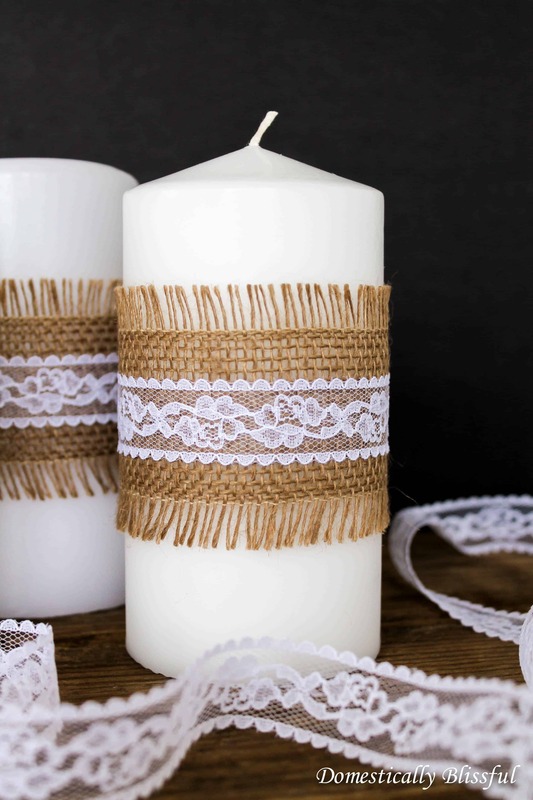 Covering candles with lace and burlap is an effective way to transform a table setting or room. Perfect for weddings, birthdays or just because you love lace! Follow this link to read the full tutorial. 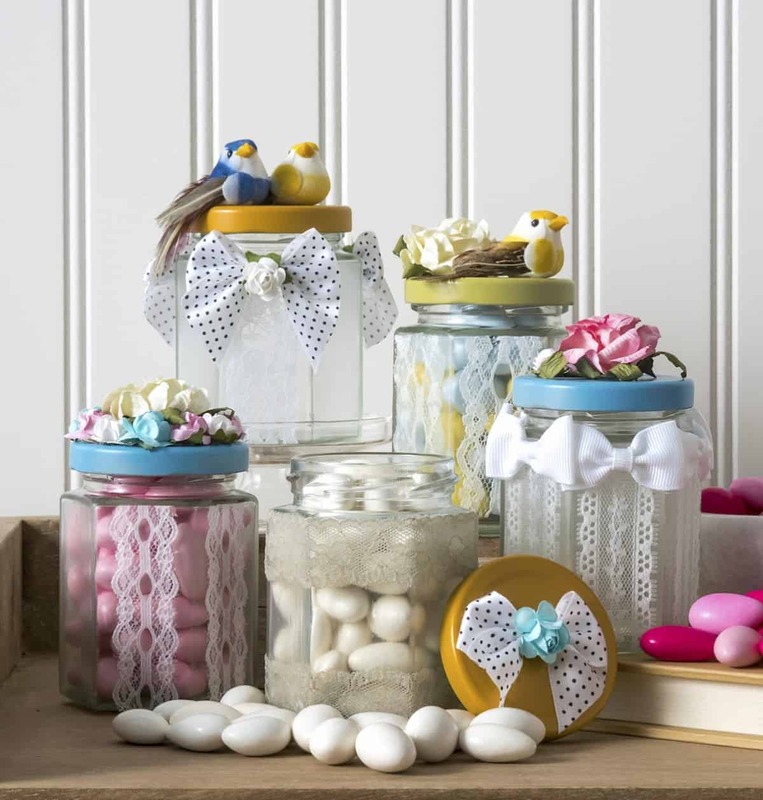 These adorable jars were made for wedding favors but are also perfect for storing all of those bit-and-pieces or would be amazing filled with homemade fudge, chocolates, cookies to give as gifts. Let the creative juices flow, there is no right or wrong here. Click here to read the full tutorial. Oh my, aren’t these just the most adorable lace flowers you have ever seen!?! 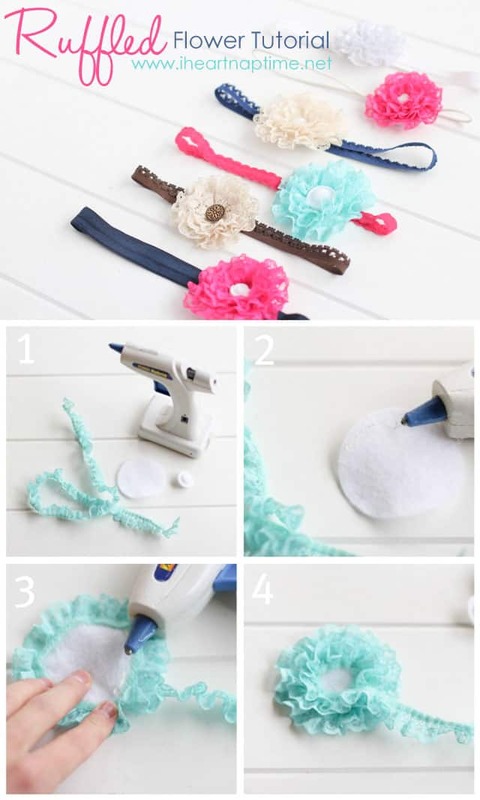 They are perfect for homemade headbands, broaches or make cute additions to clothing, books, bags, you name it you can most likely add a flower to it! Visit I Heart Nap Time to find out more. 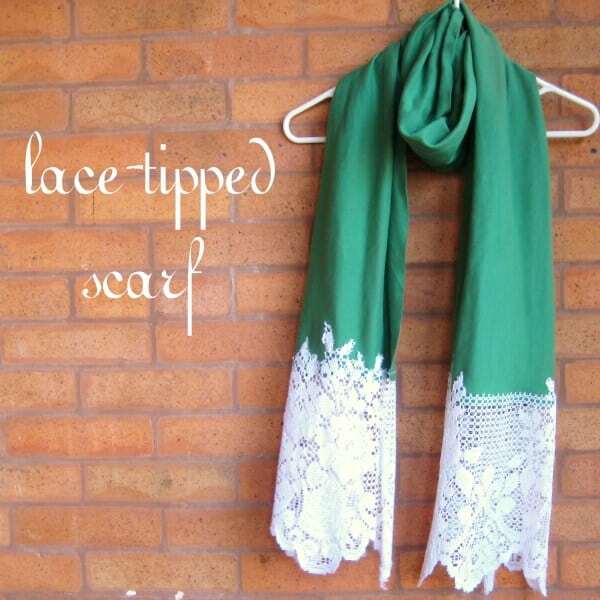 Make yourself a stylish lace-tipped scarf or simply add lace to an existing scarf you own which need updating. Lace is a great way to update old clothes, think lace on jeans pockets or lace sleeves on a t-shirt. There is lots of fun to lace and done the right way can look amazing! Click here to read the full tutorial. Previous ArticleYou’re On Desserts, 5 Diy Desserts That Wow!